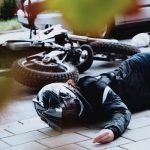 It is very common to have a motorcyclist killed or injured by a collision between a car and a motorcycle. A research study has been looking at why automobile drivers fail to give priority to the motorcycle and whether or not the motorcycle is conspicuous enough. Many times the car driver says, “I looked but didn’t see the motorcycle . . .” before crashing into the motorcycle. 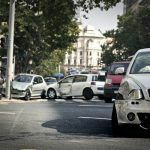 The study looks into whether or not drivers fail to yield for motorcycles less than they do for cars on the road. Intersection collisions were compared to car-on-car and car-on-motorcycle crashes. It was found that when the vehicle approached the motorcycle from a perpendicular angle, it saw the motorcycle and gave it priority. When an automobile makes a left turn, however, they often fail to give priority to an oncoming motorcycle. There was no difference between drivers who just had an automobile license and when automobile drivers also had a motorcycle license. Another type of crash involves a car turning across the path of a motorcycle. 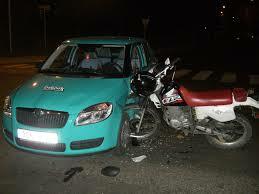 Experts say that, if motorcycles were more conspicuous, such collisions would not happen as often. One technique would be to have low beam headlights operating on all motorcycles. Having previous motorcycle experience would add cognitive awareness of motorcyclists being on the road. 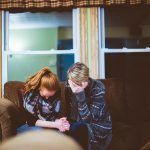 For the study, 23 experienced automobile drivers who had no riding experience were matched with 20 experienced automobile and motorcycle drivers. They were put through a driving simulator where they were asked to turn in front of a vehicle if enough room existed to do so. The motorcycles had headlights off or headlights on. The time gap was varied throughout the trial. The study showed that low beam lights might encourage drivers to see motorcycles at shorter distances. There were no differences between seeing motorcycles with or without headlights at medium to long distances. Drivers who also rode motorcycles were more efficient at this task. Overall, the researchers felt that the use of low beams on motorcycles helped make motorcycles more conspicuous when the automobile was making a left-hand turn in front of a motorcycle. Another study looked at the ability to see motorcyclists under different conditions of conspicuity. Headlights on and blinking helped improve the ability to see motorcycles. Multitasking seemed to diminish the conspicuity of motorcycles. Increasing age of driver also had an effect on conspicuity. 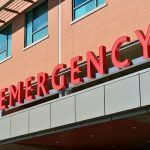 I’m Ed Smith, a Sacramento Motorcycle Injury Attorney with the primary accident information site on the web, AutoAccident.com. If you or someone you love has been in a motorcycle accident, call me now at 916-921-6400. You can find out more about our office by looking either Yelp or on Avvo, the attorney raring site.